This afternoon in metals news, a former UBS metals trader was indicted for his alleged role in price rigging, NAFTA renegotiation talks could spill into next year and the palladium price topped platinum for the first time since 2001. A former UBS Group AG metals trader was indicted for alleged price rigging, Reuters reported. Andre Flotron was accused of placing so-called “spoof” trades from July 2008 to November 2013, in which he allegedly placed orders for metals futures contracts that he intended to cancel before they could be executed, according to Reuters. Flotron was arrested two weeks ago in New Jersey and released on $4 million bond, according to court documents, Reuters reported. 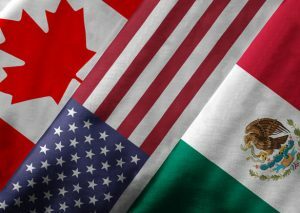 The third round of talks focusing on the renegotiation of the North American Free Trade Agreement (NAFTA) concluded Wednesday in Ottawa. Renegotiating the deal — or withdrawing entirely if a deal can’t be reached — has been a stated goal of the Trump administration. As such, the talks have progressed on an accelerated timeline, with a December deadline in place to avoid elections next year in Mexico, the U.S. and Canada. Even so, the negotiations might continue on into next year, according to Mexican Economy Minister Ildefonso Guajardo, Reuters reported. “We have the ambition, we have the strength to try to move forward with a view to closing a negotiation but no one can assure with total certainty that we will be able to do it,” Guajardo told reporters. Palladium prices have topped platinum prices for the first time since 2001, according to Kitco News. According to the report, as of 10:14 a.m. EDT Thursday, spot palladium was trading at $927.30 an ounce, while platinum was down to $918.70 an ounce. Palladium’s higher price might not last, though, according to analysts cited by Kitco. BP Makes a Big Push into Fracking Outside of the U.S.